A note from Janet: This isn’t a typical blog post this week—it will be difficult to read. But I felt a strong conviction to write this. I hope you will read this prayerfully, with understanding. Who is Kermit Gosnell, and why doesn’t everyone know that answer? There is a movie out that I would encourage all of you to see. Sometimes we don’t go to a movie to be entertained but because we need to be reminded or informed. Gosnell: The Movie is that. We recognize Ted Bundy, the Boston Strangler, Jeffrey Dahmer, and John Wayne Gacy as serial killers, but I had never heard of Kermit Gosnell. Why? In 2013, Gosnell was found guilty of multiple counts of first-degree murder, involuntary manslaughter, and felony late-term abortions. Today, he is in prison serving three consecutive life sentences without the possibility of parole. Gosnell ran a filthy, inner-city abortion clinic. When the FBI raided the clinic for prescription drug crimes, they found a horrific situation that led to Gosnell’s trial. The movie is based on eyewitness courtroom testimonies and FBI reports. The atrocities portrayed in the movie happened. But, most of us barely heard about this news. Why? Dr. Gosnell was an African American inner-city doctor. He performed affordable abortions for women whom the culture had decided should be viewed with sympathy more than integrity. Government health agencies had ignored repeated complaints about the clinic for sixteen years because it was easier to avoid what was happening than fight those who would have called their actions racist, religious, or politically motivated. 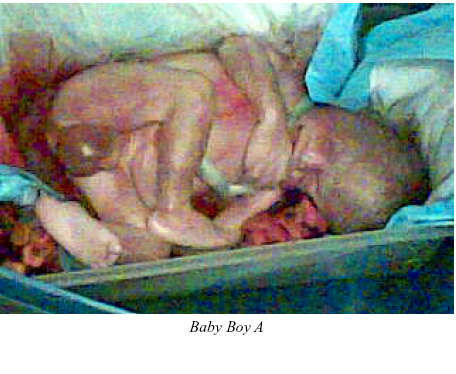 The result: Dr. Gosnell performed tens of thousands of these abortions over a period of thirty years. His employees estimated that more than forty percent of those abortions were over the legal 24.5-week gestational period. Many of the babies were alive at birth, and Gosnell murdered them after delivery. He went to jail, not because he performed abortions, but because it was proven he had taken the lives of babies born alive and had been responsible for the death of a woman who had come to his clinic. When abortion became a political issue, many people stopped thinking about it as a moral issue. There is no way to see the factual events portrayed in this movie and leave unmoved. Could that be why so few people have ever heard of Dr. Kermit Gosnell? He was a serial killer whose story went largely unreported because of his race and because those he murdered were supposed to have been aborted. Why does Dr. Gosnell’s story matter today? First, abortion is not a political issue; it is a moral issue. Why were those babies’ deaths considered murder simply because they were born alive? Now, legally, those babies die every day without criminal prosecution simply because the babies are killed in utero. God, forgive us, for growing silent or political about this issue. I don’t know what else to say, and I’ve got so many tears running down my face I can’t see my computer screen anymore. I don’t know how to stop the genocide that has become a political hot button instead of a moral and spiritual crisis. The world can call it a fetus, an unwanted baby, or a pre-term pregnancy. God calls that baby his child. This is the abortion statistic website I would encourage each of you all to look at. I could quote numbers, but this website is profound. The next link I will give you comes with a word of caution. Some of you may not want to see this, and it wasn’t shown in the movie, but I thought it was important to include in this post. One of the moments in the movie that affected me the most was a portrayal of the turning point in Gosnell’s trial. One of his nurses had used her cell phone to take a picture of a baby boy that had been born alive, and that Gosnell had joked about before snipping its spinal cord. The jury was shown this picture, and it resulted in one of his murder convictions. Be prayerful if you view it. Thankfully, this baby has joined millions of others in heaven, where he is loved by his Creator. But, that baby should have been loved here on earth as well. That is why I chose to write this blog post. Pray. We have to keep speaking, fighting, caring, and witnessing to those who think abortion is an acceptable form of birth control. It is not! See this movie—not because it is entertaining, but because it is important. And join me in asking God what more we can do to serve him and serve these babies and their moms, remembering Mary’s words: “For nothing will be impossible with God” (Luke 1:37 ESV).